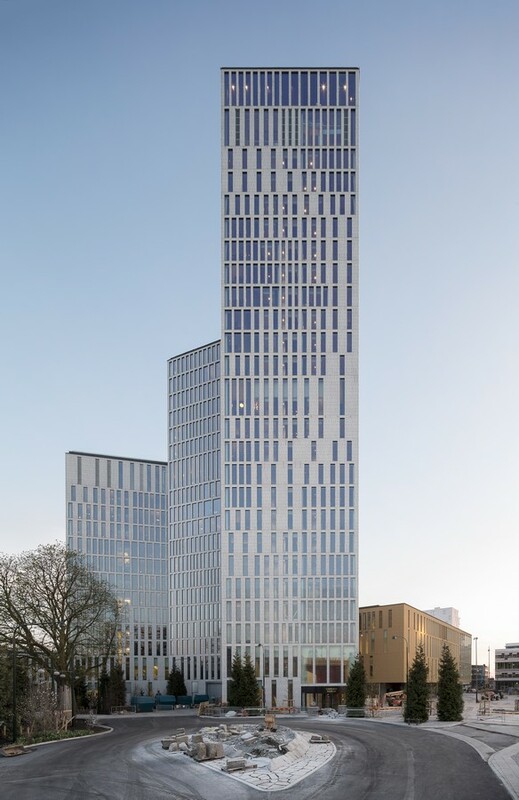 Tuesday 16 November 2016, the Malmö Live complex in Southern Sweden, designed by Schmidt Hammer Lassen Architects, was announced winner of the Mixed-use Completed Buildings category at the 2016 World Architectural Festival in Berlin. 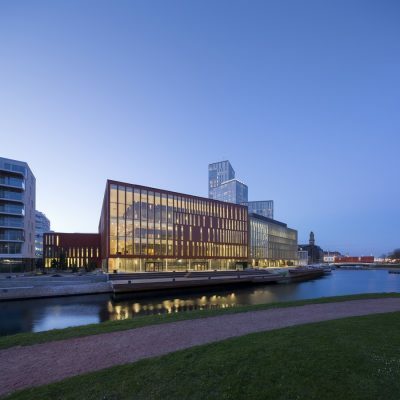 Since its opening in Spring 2015, Malmö Live has become a popular cultural meeting place and landmark in the city of Malmö, offering a setting in which the spirit of the city, its diversity and intimacy receive an architectonic expression. 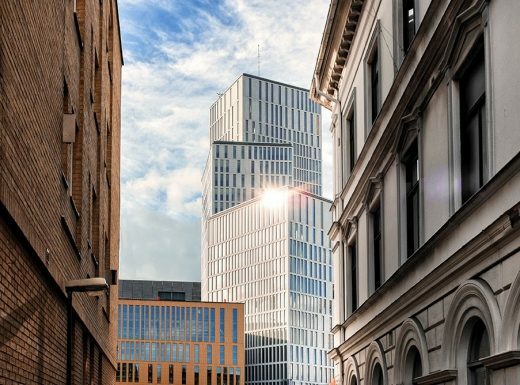 Schmidt Hammer Lassen in team with Skanska Sweden, Nordic Choice Hotels, Akustikon and SLA won the 54,000m2 Malmö Live project in 2010. 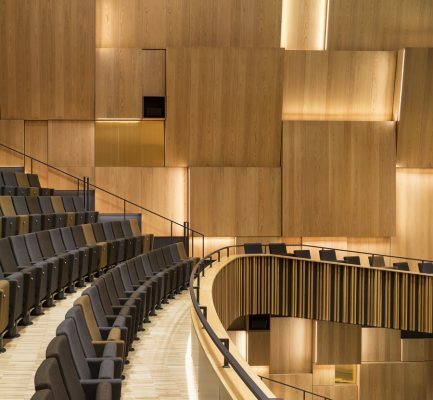 The project combines three separate typologies; hotel, congress centre and concert hall into one multifaceted entity, enabling the building to adapt to many different functions and activities. The project challenges the traditional understanding of what is considered private-public. 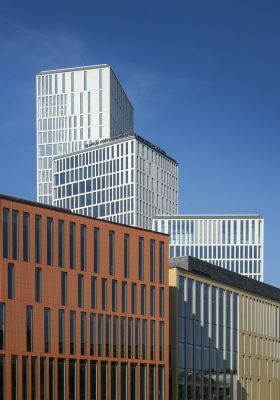 Malmö Live consists of cubic areas which are twisted and given different sizes to match the directions and heights of buildings in the surrounding city. The façades are designed with a homogeneous expression to make the composition appear as one architectonic sculpture. 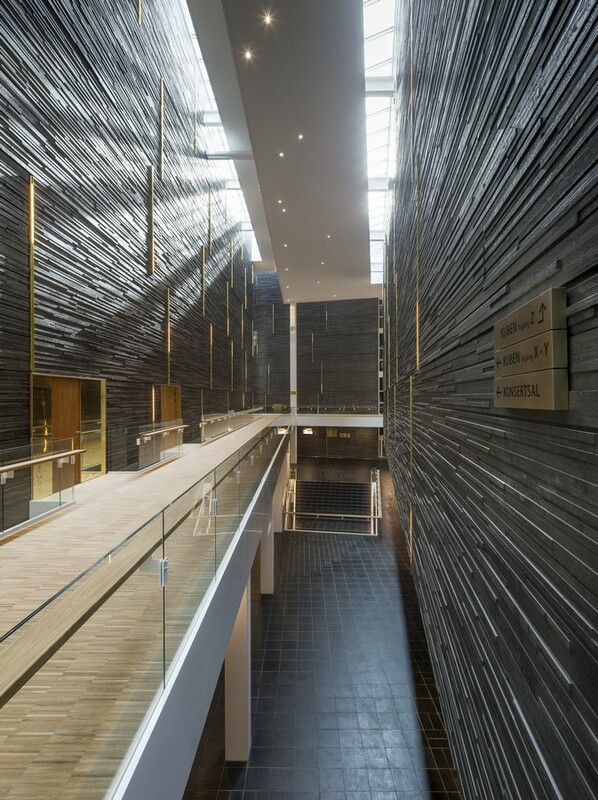 The ground floor is fully accessible to the public so people can pass through the building, whether going to a concert, congress, coffee shop, restaurant or just wanting to make a shortcut. 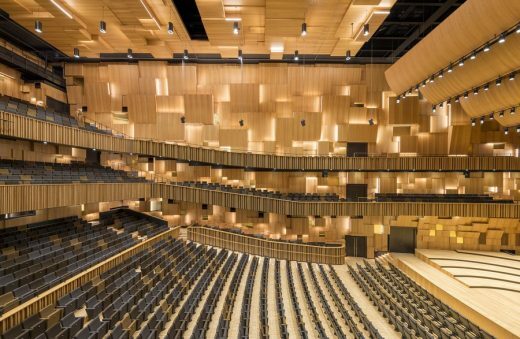 Earlier this year, Malmö Live was also awarded the Swedish Building of the Year award and the City of Malmö’s architectural award. Last night, 9 March, Malmö Live was announced winner of the Swedish Building of the Year Award 2016 (Årets Bygge). Malmö Live also scooped the award for Best Façade. 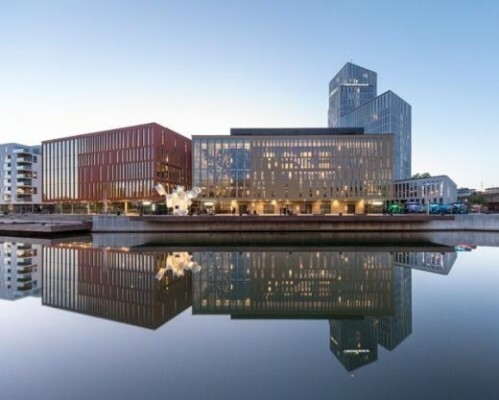 The hotel, congress and concert complex totaling 54,000m2 opened in May last year and is fast becoming a cultural landmark in central Malmö, Sweden. The jury stated, that Malmö Live already has found its place in the city and is appreciated by those living in Malmö. 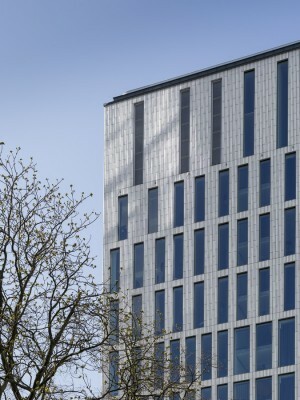 The team was praised for managing to solve a complex situation with a construction site in the middle of existing buildings as well as a railway tunnel under construction at the site. Also, the large number of parties involved in the project provided a challenging interaction. 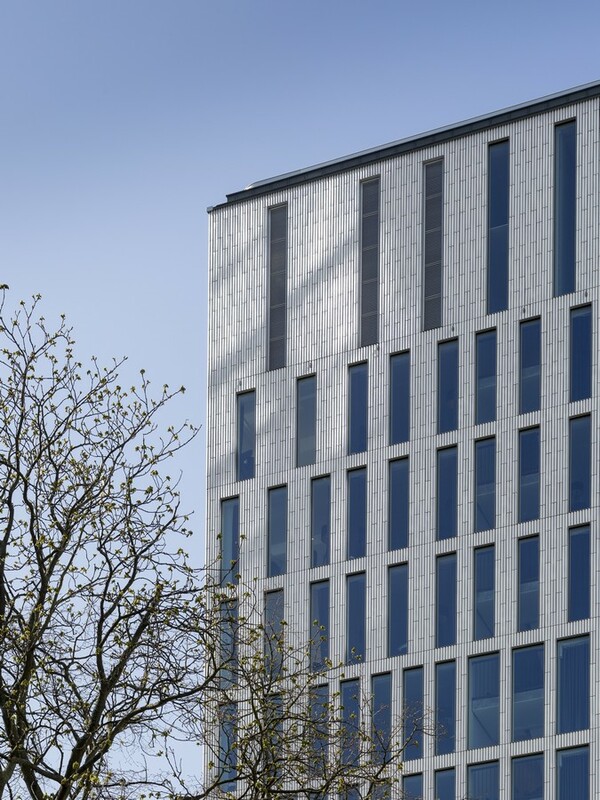 The facade of Malmö Live was awarded for its sculputral design and its colours, reflecting the palette of Malmö which creates a natural connection between the old city and the new building. 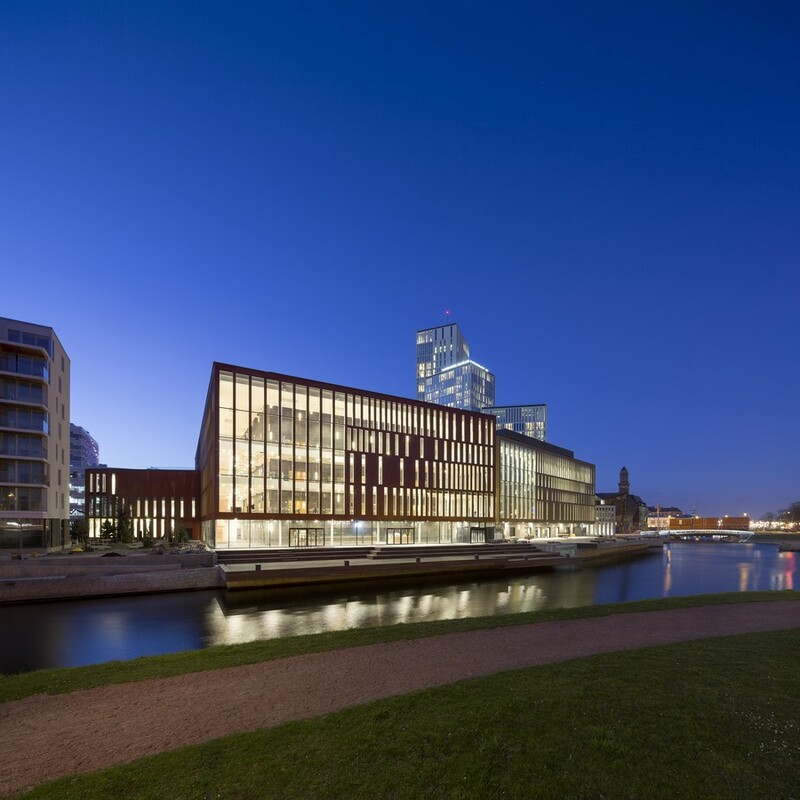 Malmö Live is an open, expressive, dynamic building offering numerous activities within its architecture. 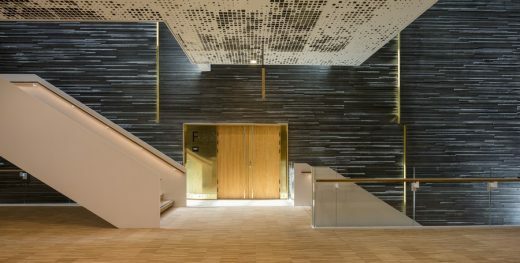 The point of departure for the building’s design is the modern Scandinavian architectural tradition, which focuses on clear, functional organisation and an accessible, open ground floor layout. The building will become a focal point and landmark in Malmö, offering a setting in which the spirit of the city and its diversity and intimacy receive an architectonic expression. 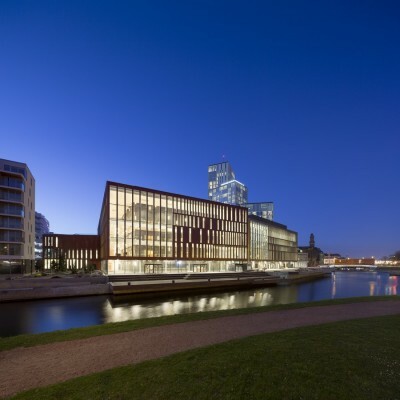 Malmö Live is situated on Universitetsholmen in Malmö. 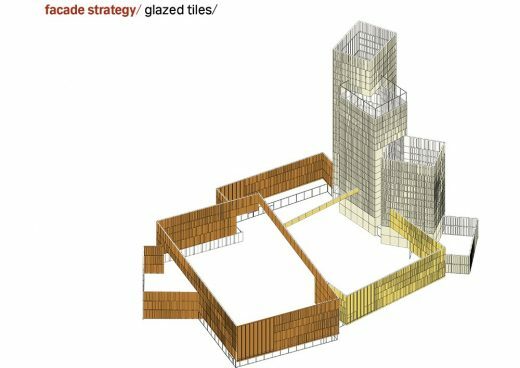 The building consists of cubic areas that are twisted and given different sizes to match the directions and heights of buildings in the surrounding city. The facades are designed with a homogeneous expression to make the composition appear as one architectonic sculpture. The main entrance is found at the northern part of the building, which has a classic loggia motif facing the plaza in front. From the south, visitors enter the building directly from the promenade running along the canal. The different functions of the building are organised as separate elements to resemble a small city. 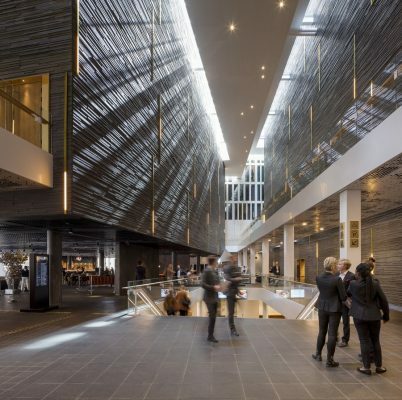 The lobby becomes the street, which runs through the entire ground floor and ties everything together. Like medieval cities, which had curved, narrow streets organised around plazas and squares, the lobby is designed to form small gathering places and recesses where visitors can stop, sit and enjoy the view of the canal and the park. 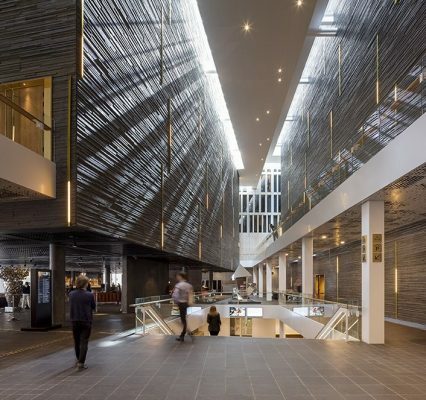 “We have broken the building mass down into smaller entities that interact with the context. 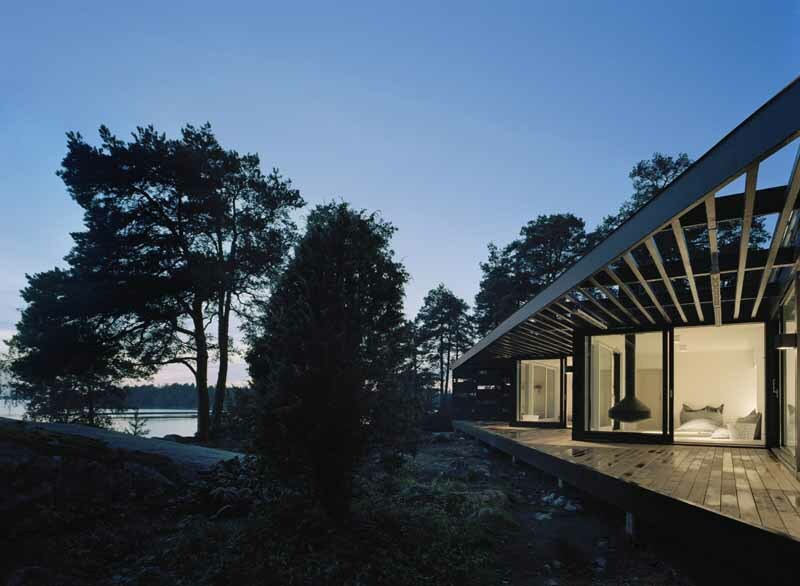 The clearly defined volumes also create a hierarchy in the way in which the building is perceived. The exterior expression uses the city’s scale and its colour and materiality as a starting point. 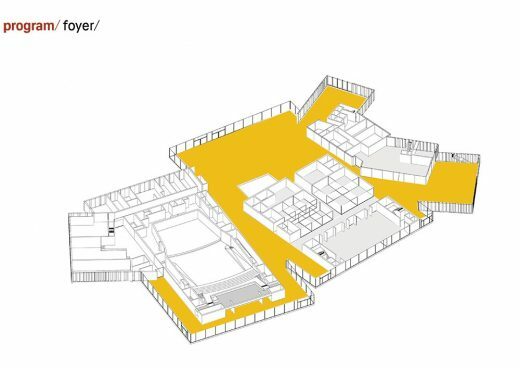 Here, qualitative and differentiated spaces are created around the building in conjunction with the surrounding buildings. 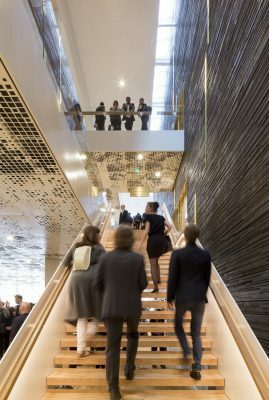 These spaces include a common space for skating or watching football on a big screen, a green park path, a new promenade along the canal to the south and two large wooden decks that connect the water and the building,” says Kristian Ahlmark. 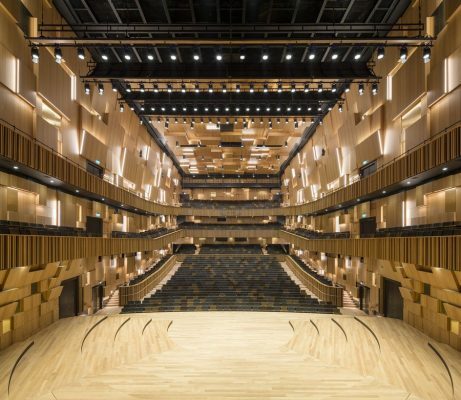 Inside, three volumes hold a large symphony hall, a flexible hall and a conference hall, which are clearly defined elements that, through their mutual composition, set the tone for the musicality of the building. The three building masses have an almost-urban scale that supports the idea of ‘a city within the city’. The interior is simple, consisting of rough black concrete, stone, wood and brass. 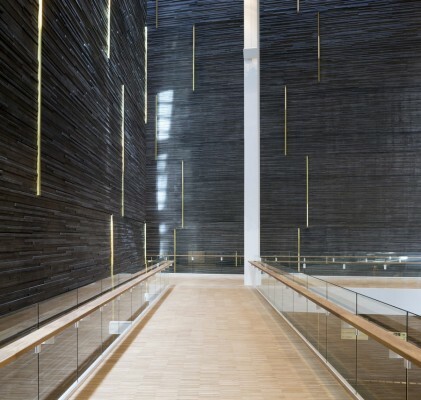 The street life outside is drawn directly inside to support the open nature of the building. In the concert hall, the mood changes. 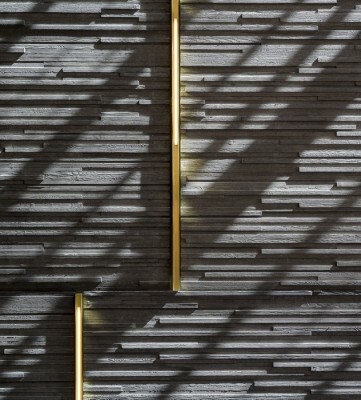 The hall is an intimate space outfitted in oak and brass. 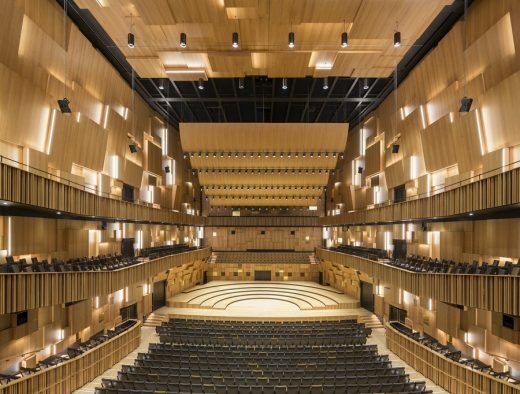 “We worked in very close cooperation with Akustikon to achieve two things: an absolutely world-class sound and a room with a musicality that works with the music, like sitting inside an instrument. The result is a composition of cubic elements. Each surface has a function, angle and size that supports the acoustics. Light is integrated into the walls so the mood can be changed depending on what is being performed in the hall,” concludes Kristian Ahlmark. 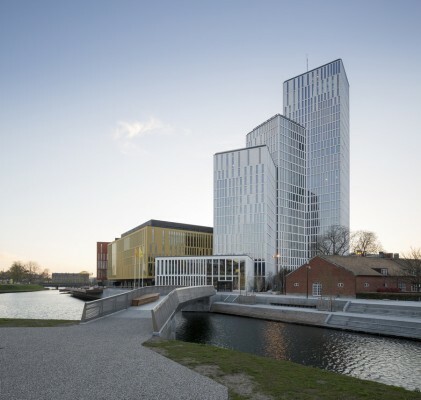 Saturday, 2 May 2015 marked the opening of Malmö Live, the new cultural centre in Malmö, Sweden. 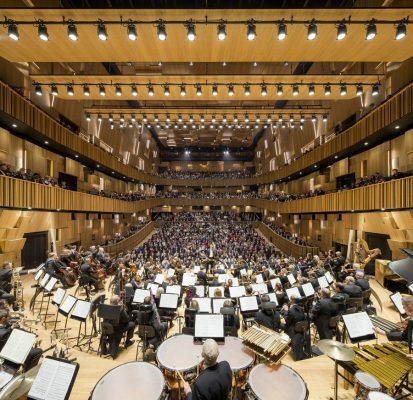 In 2010, schmidt hammer lassen architects in a team with Skanska, Nordic Choice Hotels Akustikon and SLA won a competition to design the 54,000sqm concert, congress and hotel complex. The master-plan also includes 27,000sqm for housing and commercial use. 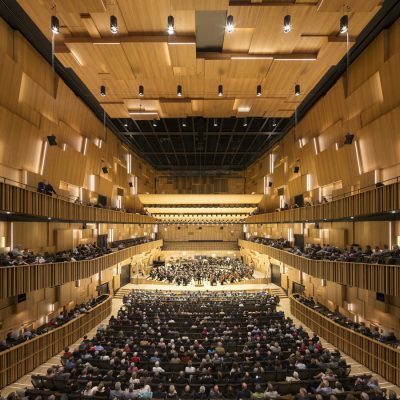 The “official opening” of the Concert Hall will be held on 26–28 August 2015. On 4 June 2015, the new outdoor areas within Malmö Live will be inaugurated.